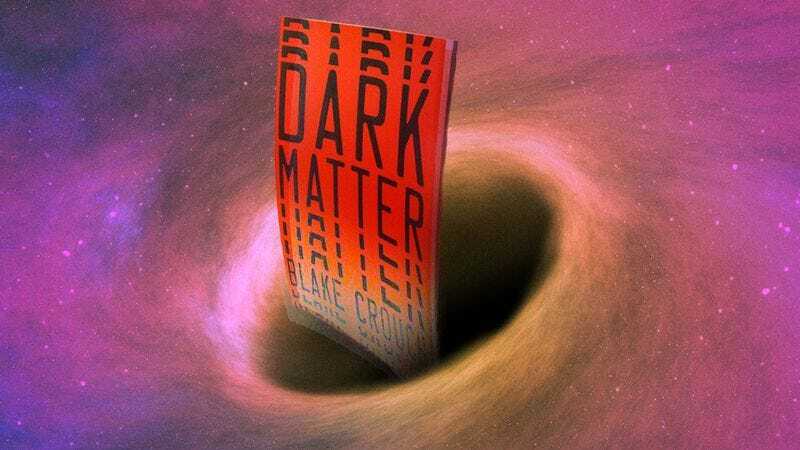 It’s no secret to reveal that Dark Matter’s protagonist, Jason Dessen, ends up in an alternate timeline, having been somehow transferred to another reality where his life is completely different. Even a cursory description of the book’s ad copy reveals that story. And sure, it’s not hard to put two and two together: Jason was kidnapped by the alternate-reality version of himself, a workaholic scientist who chose to devote his life to his work, meaning he never ended up with wife Daniela and their son, Charlie. Therefore, when Jason wakes up in the strange facility where everyone calls him “boss” and is toasting his scientific breakthrough, it’s not long before we’re seeing Jason-2 stepping into the life he never had, as devoted husband and father. But the wicked fun in Crouch’s novel comes from the eventual realization that it’s not about the road not taken. It’s about every possible road not taken. Turns out, the machine and serum that allows Dessen to travel between realities also materializes a kind of endless Schrödinger’s cat scenario: With each reality he enters and departs, another version of himself is created, who then makes slightly different choices, ad infinitum. Every possible version of himself entering and leaving each reality is no longer an either/or proposition, but rather a both/and, a large number of whom find their way back to what each one sees as the “true” reality: In their collective minds, they’re all the original, deserving to go home and be with Daniela and Charlie. Jason’s interactions with himself make for a smart and affecting tactic in the narrative, as it gives Crouch a chance to take the old “What would you do differently?” philosophical reflection and run it through numerous permutations. Some Jasons see themselves as white knights; others, desperate loners. But they’re all fundamentally him—they’ve just become different people based on the decisions they made since he first entered the machine. And it’s profoundly touching when Daniela announces the reason she decides to stay with the Jason we’ve followed this whole time. There’s no trick to it; it’s just that he happened to be the one who managed to get her in a car. It’s pure coincidence, and it’s the best (and simplest) argument for why people end up with loved ones. Right place, right time.